Table,hard cheese of a traditional recipe, with a rich aroma and a characteristic salty, spicy taste. Perfectfor cooking pasta and cheese ramekin. 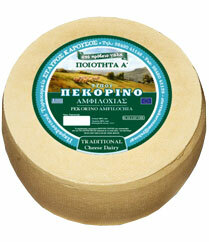 Packed,when it becomes mature, in bags of 9-12 kilograms.ων 9 - 12 κιλών.